For over 25 years Lellbach Builders has been combining quality award-winning craftsmanship with an expert eye for design. The result is an outstanding reputation for truly inspiring home remodeling. Based in Naperville, Lellbach Builders offers unique design and skilled remodeling services for bathrooms and kitchen projects, room additions, basement finishing, and even whole house renovations for the greater Naperville area. Doug and Debra Lellbach, principals of Lellbach Builders, believe not only in delivering high-quality workmanship able to stand the test of time, but more importantly offering an unmatched customer experience. An experience created through innovation, trust, timeliness and attention to detail. Lellbach Builders character speaks for itself. Contact us for an estimate on your next project. Your kitchen is the heart of your Naperville home — a place where relationships grow, where holidays come to life, and family gathers to share great food and laughter. A place to connect you to the important people in your life. A truly great kitchen joins functionality with convenience, comfort with customization, to create an environment designed to welcome you home. 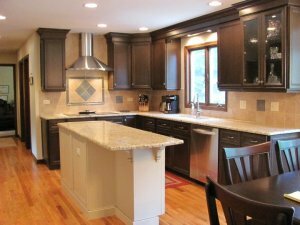 Check out some of our Naperville kitchen remodeling projects. Accessibility, the perfect amenities, comfort and convenience are just a few marks of an expertly designed Naperville bathroom. A bathroom created to serve your needs – the need to save a few extra minutes each morning, to relax before bed or occasionally pamper yourself. Lellbach Builders provides expert bathroom remodeling and design services for your Naperville home. Check out some of our Naperville bathroom remodeling projects. Adding space to your home can change your entire outlook and open the door to new possibilities for your family. Imagine a new master bedroom suite in your Naperville home with all the conveniences and comforts to let you escape and recharge. Enlarging your kitchen creates the perfect setting for family gatherings. Bring the simple joys of nature closer to your life with the addition of a sun room. Or perhaps, a home office, which jumpstarts your productivity and eliminates your daily commute. 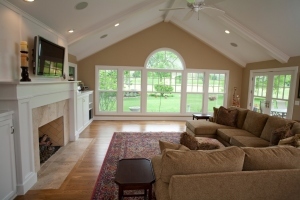 Check out some of our Naperville room addition remodeling projects. Renovating your Naperville home can be the secret to uncovering it’s true potential…the ultimate testament of building roots.A project like this requires an expert eye for design combined with the highest level of craftsmanship. It requires innovation, high-level thinking, and a clear strategy. Each facet builds the foundation to bring your new Naperville home to life. Lellbach Builders will be there with you from the point of initial design, to creation and build, to when the last piece is finished. Check out some of our Naperville whole house renovation projects. Lellbach Builders is dedicated into turning your house into Home by helping you add those personal touches specific to the tastes of your family. We have the expert carpentry and finely-honed wood-working skills required to bring your special project to life. It could be a custom fireplace mantel, unique cabinetry or a bookcase for that little alcove. Or it might be help to turn your basement into the perfect recreation space and escape for your kids. Maybe it’s time to make your laundry room more accessible, functional, and super convenient. Whatever your space needs, Lellbach Builders can help make your home more about you. 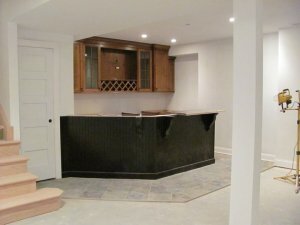 Check out some of our Naperville basement finishing and other projects.